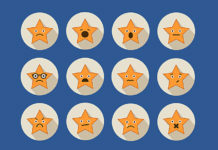 The largest-ever meta-analysis of antidepressant trials appeared yesterday in the British Medical Journal. Researchers from the Cochrane Collaboration reviewed 70 trials (involving 18,526 subjects), to find that – counter to the initially-reported findings – antidepressants doubled the risk of suicide and aggression in subjects under 18. This risk had been misrepresented in the original study reports, the authors say, and suggest that the risks to adults may be similarly under-reported. The review by the Cochrane Collaboration (“the best single resource for methodologic research and for developing the science of meta-epidemiology“) was analysed by University College London and endorsed today in an editorial in the BMJ, written by Joanna Moncrieff. Sharma, T., Guski, L., Freund, N., Gøtzsche, P; Suicidality and aggression during antidepressant treatment: systematic review and meta-analyses based on clinical study reports. British Medical Journal. January 27, 2016;352:i65. Moncrieff, J; New evidence from clinical study reports reveals misclassification, misrepresentation, and under-reporting of serious harm. British Medical Journal. January 28, 2016;352:i217. Some people say the drugs are neither good or bad… say that again? This is likely due to inferior diagnostic examinations more than the SSRI’s themselves, though they are hardly wonder drugs. What happens is our Doctor of the Mind gets a depressed patient, sees no obvious paranoid delusions and prescribes the SSRI of the month without further examination for disturbances in perception. If many disperceptions are there, they increase with treatment, patient’s depression doesn’t improve, patient feels worse and gulp, there goes the rest of the scrip- down the hatch. Tend to disagree that it means there was an initial slackness in or wrong diagnosis, given that depression is no single “illness” that can be diagnosed accurately or confirmed by testing – can’t misdiagnose an “illness” that doesn’t actually exist. Despite more than 50 years trying to prove depression is a single “illness” and massive advances in research, brain imaging, genetics etc, there is still NO test that can show whether someone has, or is likely to develop, the totally disparate cluster of feelings/behaviours lumped under the diagnosis of depression. Can’t accurately diagnose something that doesn’t exist or that is a reasonable response to the “slings and arrows of outrageous fortune” (ie life circumstances)! Plus, if, once “diagnosed” and medicated you become suicidal and make the mistake of telling the doc, you’re likely to have antipsychotics added and the “diagnosis” altered because there must have been an underlying “illness” that the antidepressants “unmasked”, exemplifying the shifting sands of psychiatric diagnoses that rapidly turn to the quicksands of psychiatric “treatment”. Antidepressants make people suicidal…many people….because they are psychoactive drugs that interfere with brain function, in just the same way other (illegal and legal) psychoactive substances do. It has nothing to do with diagnosis! 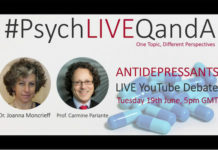 It is interesting that most pharmaceutical companies have wound back their research around trying to find a chemical “cure” for depression (because they have realised it doesn’t exist) and are just doing “me too” drugs that extend patents and maximise profits. It is now well known that SSRIs can increase suicide risk, especially for adolescents. I’m glad that Cochrane also mentions increased aggression, which I see frequently in my work with foster children. This problem is almost never mentioned by “opinion leaders” in the field, and kids who become aggressive on SSRIs are very often diagnosed with “bipolar disorder” and put on antipsychotics. This study needs to get some big publicity, as a lot of kids’ lives could be improved and stigmatizing diagnoses avoided if this “side effect” of SSRIs were noted. Of course, the more important finding is that SSRIs don’t really improve the “depressive symptoms” for youth, and the younger you are, the less effective the SSRIs become. There is really no benefit to offset the risks, and the proper conclusion is that these drugs should never be given to children for any reason. But that message will be obscured, because it is inconvenient to those profiting from the delusion that SSRIs are helpful to kids. “these drugs should never be given to children for any reason. But that message will be obscured, because it is inconvenient to those profiting from the delusion that SSRIs are helpful to kids.” Sometimes you have to laugh, at just how disgusting all this is, thanks, Steve. And if you can, please remind the psychiatrists you’re working with that combining an antidepressant with the antipsychotics can cause anticholinergic toxidrome, the central symptoms of which are indistinguishable from the positive symptoms of “schizophrenia,” to the DSM deluded psychiatrists. If only they would listen to what I tell them! I once stated in a room full of mental health and social work professionals talking about protocols for medication oversight that “there is no indication for antidepressants in kids under 5.” Nobody said a word! I said it again. No response, as if I had not spoken. Talk about denial! If anyone had had a counterargument, they would have said it, but no one said a word. Everyone knows they don’t work in kids, and yet they are unwilling to simply say, “Don’t prescribe them to kids!” It’s sick. But I will make note of what you said and will keep pointing to the elephant in the room, even if they continue to turn their eyes another direction. That’s sick, are they really that evil and uncaring? I knew my psychologist and psychiatrists were, and a psychologist friend refused to acknowledge iatrogenesis in a child we volunteered together to help, even after I’d pointed it out. And a leader in my local child drugging organization, who I had lunch with, quickly paid for lunch and ran away as soon as he realized I understood what as going on, despite having known my family, in general, tended to be quite insightful. And my neighbor, whose wife and he worked in the industry for twenty plus years, confessed, yes they all know it’s a sick joke of an iatrogenic illness creation system. “The Only Thing Necessary for the Triumph of Evil is that Good Men Do Nothing.” We’re there, aren’t we? the developed world Mental Health Systems are useless. It just amazes me that, instead of drugging kids for an imaginary illness, that someone doesn’t just sit down and ask the kids what happened to them to make them feel the way that they do. What is so damned difficult about doing that, other than it takes time and effort and you have to really listen to people without trying to jump in and tell them how they should feel etc. As a former high school teacher one of the most important things that I did was to listen to the kids that no one else wanted to give any time to. I did this after school under the guise of staying late at school to do work on grading papers and that kind of thing. My desk was near the door into the teachers’ offices so when kids came looking for a teacher I was always the first one that they encountered. It always amazed me how kids would open up and actually talk about what was happening in their lives when someone showed interest in what they had to say. You don’t have to have a degree in medicine to do this and you don’t have to be a therapist. All you have to be is a genuine human being who cares about what happens to those kids. I never thought I’d see the day that we’d be drugging kids with some snake oil remedy for an imaginary illness. But this is where we are today and few people are willing to stand in the way of drug companies and psychiatry having their way with these kids, especially the foster kids. It is disheartening to say the least. Ask your doctor why something as important as this doubled risk of suicide in youth story is not on the TV news in between ask your doctor pharmaceutical advertisements. So true. Today’s mainstream media is ignoring all the real news. Besides the U.S. Preventative Services Task Force targeting to screen ALL adults including pregnant and postpartum woman it’s also focusing on drugging 12 to 18 year olds screening through primary care for Major Depressive Disorder. And you only have to be depressed for 2 or more weeks. I don’t know any teenage that doesn’t experience this especially after a break-up with a boy/girl friend, living in poverty, or having drug & alcohol addicted parents. It wouldn’t surprise me if they soon target babies for depression. I’m sure Big Pharma is smiling all the way to the bank. The psychiatric hospitals will burst at their seems with yet more adverse effected patients as they are today. The madness will never end, because the first line of treatment is always – drugs, drugs, and more drugs. 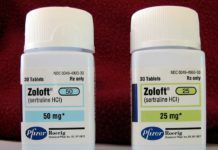 t had been know prior to its launch that Prozac, a SSRI, increases the risk of suicide. But the criminal medical business had lucrative products to sell, the SSRIs, so they invented the myth that serotonin is the happy hormone. Allopathic medicine is mostly scam medicine because it’s BIG business. Every time you have big business you have corruption and criminality.